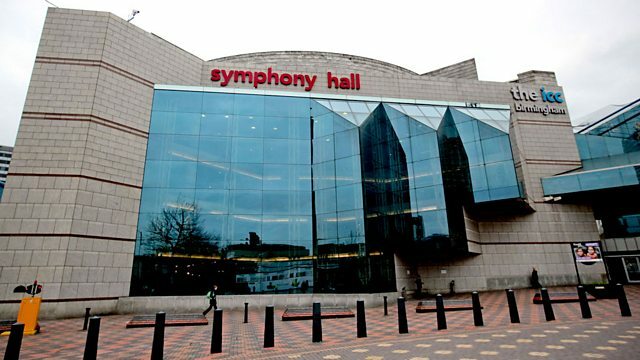 Live from Symphony Hall, Birmingham, the CBSO under Andris Nelsons. Mendelssohn: Overture (A Midsummer Night's Dream). Abrahamsen: let me tell you. Strauss: Symphonia Domestica. Andris Nelsons conducts a programme of Shakespearean works by Mendelssohn and Abrahamsen, and the Symphonia Domestica by Strauss. Richard Strauss wasn't one to throw the baby out with the bathwater. His extraordinary Symphonia Domestica is a no-holds-barred musical diary of a day with the Strauss family, from morning lie-in through to bathtime for baby! In the first half of the concert come two enchanting classics - one a much-loved favourite, one freshly-written for the soprano Barbara Hanningan, but both inspired by the magic of Shakespeare. Stephen Johnson explores three of Mendelssohn's symphonic poems. Conductor: Andris Nelsons. Performer: Barbara Hannigan. Performer: City of Birmingham Symphony Orchestra. Conductor: Stephen Cleobury. Performer: BBC Singers. Performer: King's College Cambridge Choir.